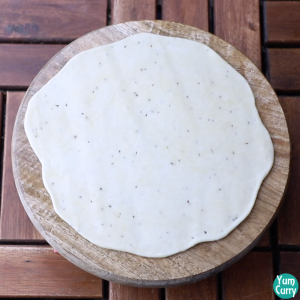 This is namak pare recipe with step by step photos. 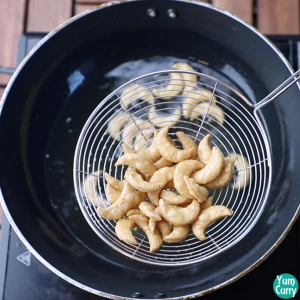 What’s different about this recipe is the shape of the namak para, as it is a cashew shaped namak para recipe. My mom discovered this recipe many years back when I was a kid. 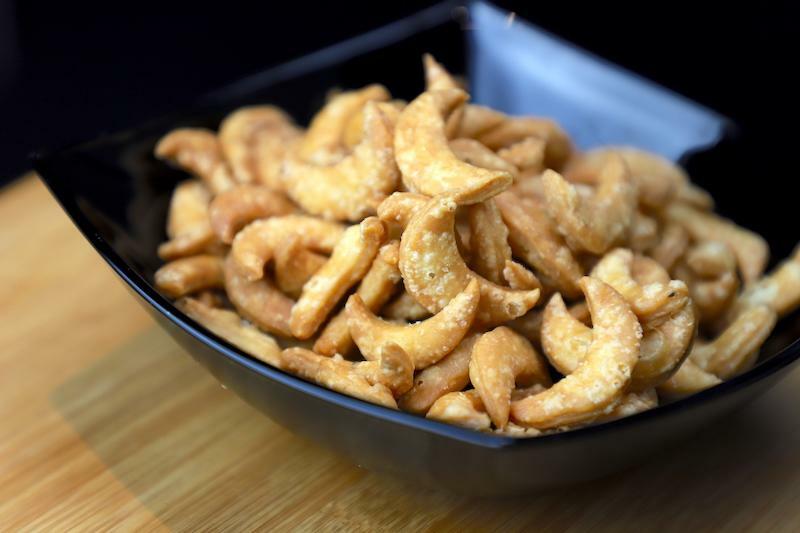 As my mom used to make namak pare or mathri in every diwali or holi or in a special occasion, she got bored with the same old namak para shapes which were circular, rectangular or triangular, so she thought of giving it a new shape which is cashew or kaju shaped namak pare. 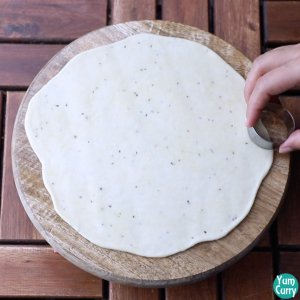 This recipe is very simple and requires very few ingredients which are easily available in the market or even at home. It requires little extra effort to give this shape but the result is so different that it’s worth all the efforts. 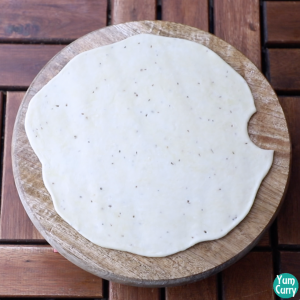 I have rolled the dough thick as I like little thick shaped namak pare, but if you prefer thin you can definitely roll it thin. 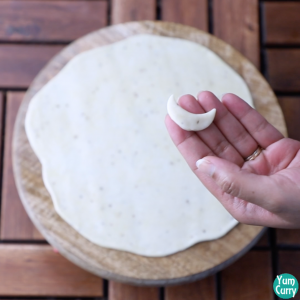 Also thick namak para takes little longer time to cook so if you want to save some more time, you can roll it thin. 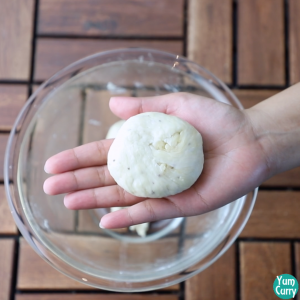 Also while making this recipe or any namak para recipe, always knead a little firm dough. As you can see in the picture, my namak para has got little bubbles as the dough was not firm enough, so always keep in mind that the firm or hard dough always makes great looking namak pare. One more thing, always fry the namak para on low to medium heat and never on high heat as it won’t get cooked from inside and gets brown suddenly from outside. 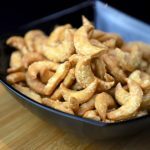 Hope you like this namak para recipe from my kitchen. Please like and share it with your family and friends. 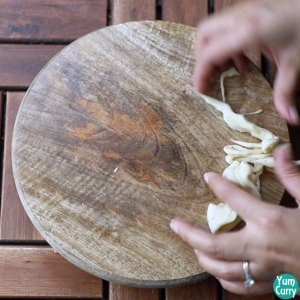 Let me know what do you think about this recipe in the comment section below. Enjoy! 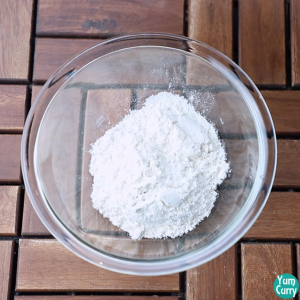 Take flour or maida in a bowl. Add carom seeds(ajwain), salt and oil to it. Mix well. 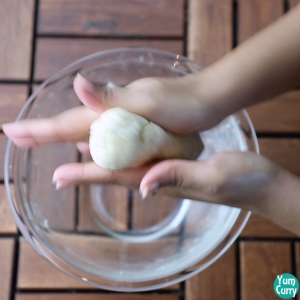 Add water to it, little at a time and knead it to form a firm dough. 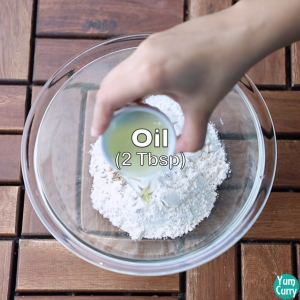 Do not make soft dough. Cover it with a cloth and rest for 10 minutes. 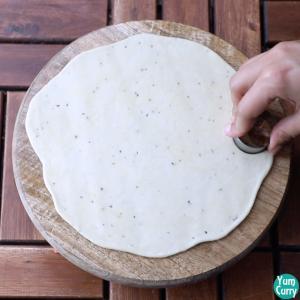 Now take a small portion of the dough and roll it thick using a rolling pin. 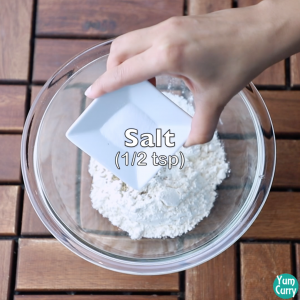 Use a circular cookie cutter and cut one side of it in a semi circular shape and discard that cut piece. Now start cutting it from the top of where you made the first cut, so as to get a cashew shape. Make as many as you can and roll the remaining part again to make more. Heat oil in a deep pan. 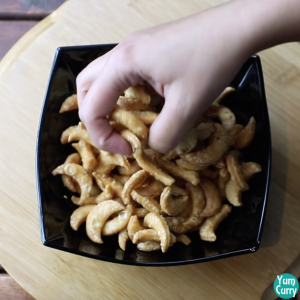 Drop the prepared cashew shaped namak pare to it. Fry it on low-medium heat until golden brown. Keep stirring in between. 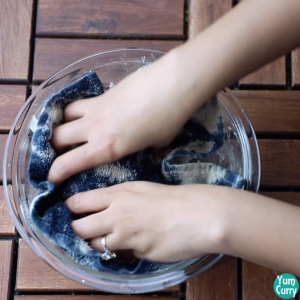 Take it out on a kitchen towel or tissue to remove excess oil. Let it cool and transfer it to an air tight container. Consume it within 30 days. 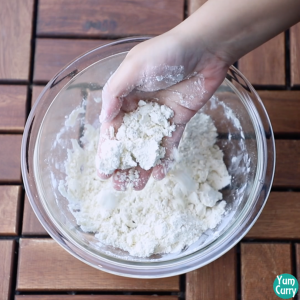 Take all purpose flour or maida in a bowl. Add carom seeds (ajwain), salt and oil to it. Mix well. 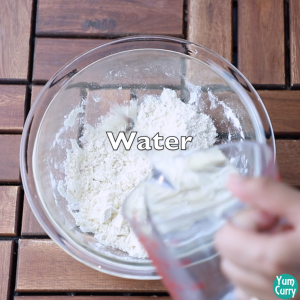 Add room temperature water to it, little at a time and knead it to form a little firm dough. 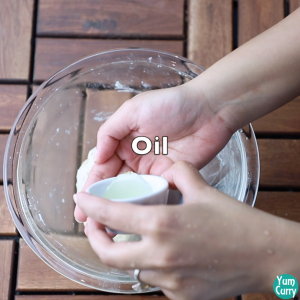 Apply oil on top of it and cover it with a cloth and rest for 10 minutes. 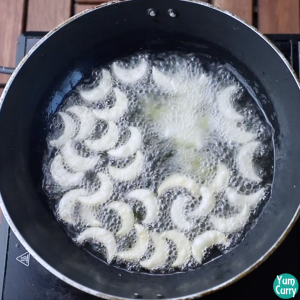 Take a circular cookie cutter and make a semi circular cut at the bottom of it. Discard the cut part. Now start making the cashew shaped cuts from the upper part of the previously cut part as shown in the photos. Make as many cuts as possible. 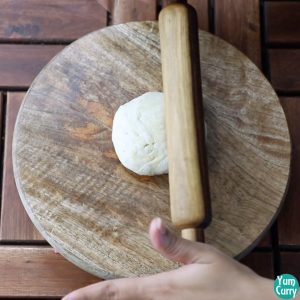 Roll the leftover part of the dough to make more. 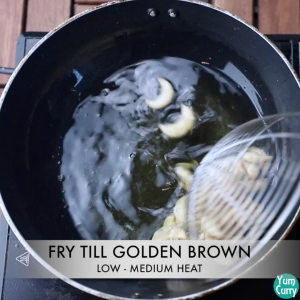 Fry it on low-medium heat until golden brown. Stir in between. Take it out in a kitchen towel or tissue when done to remove the excess oil from it. Let it cool and store it in an air tight container and consume it within 30 days.